Daum has a kind of an event concerning the new album by Lee Sang-eun to appear soon. I still have her album Gongmudohaga from almost 10 years back hanging on my sidebar to show my appreciation; many of her later albums as well are worth giving an ear. This promotion page at Daum gives an opportunity to hear some of the new tracks, in case one downloads a separate program and doesn't browse with Firefox, so I'll have to wait for another occasion. Lee Sang-eun has usually had a mix of English and Korean lyrics in her albums; judging from the track titles, this time there seems to be only two English-language songs, which is good. Her pronunciation of English is good (I'm not in a position to judge that...), but lyrics quite awkward. Korean suits her after all better. With the title of the album she could have used some better judgement, considering all the myriad of "topias" in Korea like the cap-maker Captopia, which used to have its main office for a short period in one of the alleys where I did fieldwork: "Romantopia" is as flawless Konglish (or Japano-Konglish) as can be. Had to find out what was going on after reading from Pressian that the Democratic Labor Party, striving to side with the small businesskeepers (or self-employed, chayôngôpcha) as well, was steaming in response to the news about the planned policy measures concerning the huge and struggling self-employed population. Hankyoreh has the Yonhap piece about the coming outlines of the self-employment policy. To put it briefly, the government is aiming to sort out small businesses which are competitive enough and support them, and encourage those without prospects to find a new job. Actually the term that's being used in the plans for the overhaul of the self-employment sector is the same that sent chills to the spines of wage employees at the time of the "IMF" crisis: kujô chojông, "structural adjustment." Background for the plans is for example the estimation by Korean Development Institute (KDI) that the real income of the self-employed has diminished by 18% since the year 2000. The big picture in the end is the notion that the self-employment sector is not fitting for Korea to become a developed nation: in Korea it employs over 30% of the work force, which is three times more than in "developed nations" (sônjin'guk). There are too many people working in retail, wholesale, food and lodging businesses and other services according to the government strategy to create new jobs for the "20 000 dollar GNP era." This appears as another state-led modernization project in the good Korean tradition. Sae chayôngôp undong. The branches that the government is targeting cover pretty much most of self-employment: retail and wholesale (도.소매업), restaurants and lodging (음식.숙박업), freight cars and taxis (화물차.택시), and garment industry (봉제업). So much for now; this should give me note-writing material for the next week, so I should be writing some details and comments soon. Here's my entry from February 1 about starting to read the novel Taebaek Sanmaek by Jo Jung-rae. Now I'm midway through the 6th volume; lately my reading has been quite slow as I haven't had the book with me during the 1 hour and 20 minutes of daily commuting. Jo's Taebaek Sanmaek cannot be but compared to the three-volume Finnish novel Here Beneath the North Star by Väinö Linna depicting a tenant farmer family on the period of some 70 years from 1880s, and especially the 2nd volume from 1960, which was pathbreaking in its depiction of the motives and feelings of the defeated red side (many of them tenants motivated by the land question like their Korean counterparts in the late 1940s) in the Finnish civil war of 1918. Perhaps it's unfair to try to compare novels read in a native and a foreign language, but Linna's characters mainly come out as less one-sided. Perhaps it's for both the time of writing (1990s) and the era it describes (1960s and 1970s) that the characters in Jo Jung-rae's later 10-volume work Han'gan feel much more balanced. Oh, the small piece in Jo's novel which prompted me to write this entry. The writer was describing the conditions of the novel locality through the reminiscens of a (sympathetic) army officer who had been posted to the rebellious are but arrested and taken away by trumped-up charges of Communist sympathies stemming from (bad) landowners who saw him not siding with them enough. So the people in the area (around Beolgyo) were described as having received a lot of "new influences", as clothing was mainly Western, and the landowners (chiju 地主; for the readers of Taebaek Sanmaek this will hardly remain a neutral term) were not relying just on their landed property like some yangban of old but operated businesses as well. Most of the landowners, hailing from families of yangban origin, did not even try to keep up the appearance of the old aristocracy but had the air of a modern-day businessmen. In the novel, the landowners of this type were the "bad ones" who didn't recognize the grievances of the sharecropper tenants. The landowners who were still behaving with the dignity of a true yangban happened to be the good ones, who even carried out a land reform voluntarily on their property. The ROK national assembly is now on vacation, and many of the committees are making benchmarking tours abroad. As Finland is often seen as a kind of a model nation in Korea, parlamentarian visitors drop by here quite often - can't tell if the frequency is disproportionate, though. I understand that the Committee of Welfare (Pogôn pokchi wiwônhoe) came here earlier this month; at the moment a delegation from the Education Committee is here, but only for two days, so they shouldn't be hearing talk about parliamentary tourism back home. Such is the state of Korean Studies in Finland that when a representative of the discipline who doesn't need an interpreter is needed, a Ph.D. candidate in Cultural Anthropology is contacted. One member of the delegation, representative Yoo Ki-hong of Our Open Party (he represents Gwanak-gu!) 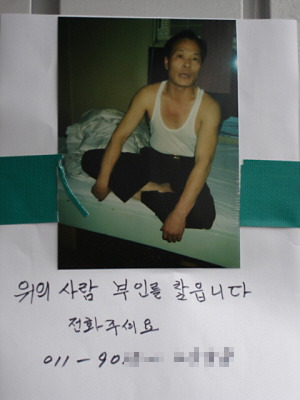 is gathering info about Korean Studies, about the effects of the Korean government support and so on, so I was contacted. It was a nice conversation, relaxed and informal - the first thing I did when entering the restaurant where Yoo and some other members of the delegation already were was to take off my tie; in their casual evening attire one couldn't have told them apart from Korean tourists. Once again I came to think about my double role; being a sort of a representative of "Korean Studies" as an anthropologist. This has also got to do with the state of teaching and resources here at the U. of Helsinki; even though some do their MA theses on Korea when majoring in East Asian Studies, I always maintain that there's actually no Korean Studies in the sense it's known elsewhere. One language teaching position does not yet make a university subject (as good job as is being done in language instruction). Last month I paid attention to the government's plans to alleviate the regulations concerning the opening of mammoth retail establishments and the movements of the small retailer associations against the proposed legislation. After quoting figures from the Korea Federation of Small and Medium Business that during the last four years the large-scale discount stores have grown by 100% while 20% of small and medium businesses have closed their doors, Ohmynews goes to visit one "supermarket" keeper in Goyang, Gyeonggi province: how does a 10 p'yông (pyeong, 33 sqm) survive against the big discount stores. The supermarket introduced in the article is a Kosa-Mart (코사마트) franchise belonging to the 한국슈퍼마켓 협동조합연합회, which in English would be something like Korean Supermarket Association (can't find no homepage!). The man of the shopkeeper couple used to be a salaryman until 2003, when he decided to quit his company, which was apparently in the midst of legal proceedings. "I cried a lot, and we seemed to have no future," the woman told of the time when the man quit his job and they decided to open the store. The difference of fees for small and large retailers is something I haven't yet tried to find out about. "The government is telling that they're going to help the self-employed and small and medium companies, but supermarket keepers like us and the large retailes have a different starting point. All the expenses are too disfavorable for us. Large discount stores pay only 1.5% fee for the use of credit card, but we pay 2.5%. Use of credit card is growing, but when the commission is 2.5%, supermarkets want to avoid them, right?" Alcohol is another example. Large discount stores and we pay a different tax (segûm) for alcohol we purchase. We do need even a small margin, but we lose in price competition because we can't sell cheap." May 18 is not really a day to make light-hearted postings on (South) Korea, but a posting on the survival strategy of a small supermarket shall wait for tomorrow, and the photographs about Kwangju in May 1980 that I was going to upload to substitute for those at 5.18 Photoclub that are unaccessible at the moment are in another harddisk, so I gave up with this instead, found somewhere some time ago. Poor chap, whether he's looking for a wife to marry to or a wife who's run away. In case someone needs to know what a nannin'gu is, the man is wearing one on his upper body. I understand that in the colloquial American English that piece of clothing is called "wife beater." How unfair. Savage Minds is a collective web log devoted to both bringing anthropology to a wider audience as well as providing an online forum for discussing the latest developments in the field. We are a group of Ph.D. students and professors teaching and studying anthropology and are excited to share it with you. You can find out more about the contributors by clicking on the ‘about’ pages on the right for each of us. The retired professor of English literature and a remarkable figure in the democracy struggle in the 1970s and 1980s Paik Nak-chung (Paek Nak-ch'ông) has raised some eyebrows with his article "How to Think About the Park Chung-hee Era", based on the presentation he gave late last year in Wollongong University, Australia in a conference 'The Park Era: A Reassessment After Twenty-five Years'. The text has already been available in English at the Creation and Criticism website for a long time, and now it is published in Korean in the Creation and Criticism (Ch'angjakkwa Pip'yông) quarterly. The ones with raised eyebrows are the usual suspects; here's the Ohmynews piece on Paik's article, and the other one is from Pressian. Participants and inheritors of the democratic struggle in South Korea, therefore, have every reason to be proud of their input in the performance of the Korean economy over the past quarter-century, and need not be chary about acknowledging Park's 'meritorious service' for the ambiguous but undeniable thing that it was. Such acknowledgment is also necessary precisely in order to overcome the 'Park Chung Hee nostalgia' of our day, which threatens not only the immediately pending democratic reforms but the larger task of creating a new paradigm of truly sustainable - or, as I prefer to put it, life-sustaining - development. Naturally I am not dismissing in the name of 'Park Chung Hee nostalgia' all positive assessments of his leadership or any legitimate criticisms of current leadership. But whatever shortcomings we may deplore in the latter, the one thing we do not need today is another Park Chung Hee, far removed as our world has become from his days. Indeed, this very nostalgia for Park betokens the worst legacies of his era: its indifference to basic rights (including the rights of the entrepreneurs to run their business without arbitrary Government interference), insensitivity to human suffering, aversion to solving problems through dialogue and compromise, and ignorance of any individual or communal aspirations larger than the beggar's philosophy of 'Let's live well'. But these legacies will continue to exercise their pathological influence until the Park era has been adequately assessed and Park Chung Hee, too, given his due. Even as late as 1989, Paek Nak-chung was a scholar whom the ROK authorities prevented to participate in a conference on the minjung (popular masses) movement in the US. And while we're on the subject, Ohmynews tells also about the publication of a two-volume cartoon book on Pak-t'ong(*). anthropology in the web: "Cycles of Life"
Anthro at the U. of Helsinki is having an interesting seminar on India at the moment. Two of the participants, Ákos Östör of Wesleyan and Lina Fruzzetti of Brown have been frequent visitors to our department in the last years. Ákos presented the web page based on their research on India called Vishnupur: Cycles of Life in a Bengali Town. I'm impressed, to say the least. The first installment of the project visits the Bishnupur town in the late 1960's and early 1970's, entering the social domains of sacred rituals and festivals, bazaar and markets, marriage rites and kinship relations, celebrations of death there are, as well, accounts of the temples, music, arts and crafts, local history. We endeavor to give internal views of using the concepts and categories employed by the townspeople themselves in ordering and comprehending their own lives, and in addition, we provide anthropological analyses here and interpretations based on the field research. We chose to organize the site in terms of time and space. Cycles and cyclical time are still central to the ritual, family and economic lives of the town. Rpaid changes are transforming Bishnupur, so the second installment of the project will concern the transformations that have occurred between 1967 and 2003. The notion of cycle is linked to that of space: segments of the circular plane of the calendar and signs on the map refer to each other just as a stroll through the town evoke time based events than and now. Cycles and maps link localities, festivals, social groups, exchanges, and bring the past to the present within the year and the whole of human life. The Korean Society for Cultural Anthropology (Han'guk Munhwaillyuhakhoe has it's yearly conference at SNU on May 21-22: program as html, program as a huge jpg file. It's been long since I last participated; I miss those occasions, they are a good occasion to keep up with research and faces (one's own included). The main theme of the conference is "Masculinity and Masculine Culture in Flux" (변화하는 세계 속의 남성성과 남성문화). Well, the Academy of Korean Studies has changed its Korean name from Han'guk Chôngsin Munhwa Yôn'guwôn ("Korean spiritual culture research institute " - bad gloss but can't do) to Han'gukhak Chungang Yôn'guwôn ("Korean studies central research institute"). The new name is better. The following is my Finnish translation from the page 255-256 in the volume 5 of the novel Taebaek Sanmaek by Jo Jung-rae. In it the Boseong county leader of the Communist insurgency, Yôm Sang-jin, is giving a speech to his platoon in the summer of 1949 somewhere in the Southern Jeolla mountains at the event of his transfer to another post in the South Korean Worker's Party (Namnodang, Namchosôn Nodongdang) and the promotion of two of his subordinates, An Ch'ang-mu and Ha Tae-ch'i. Why Finnish? Because it wouldn't make much sense to try to translate fiction to a language that's not my own. "Hyvät Boseongin vallankumoustoverit! Tiedän että olette yllättyneitä näistä äkillisistä muutoksista. Teillä ei kuitenkaan ole mitään syytä yllättyä, sillä kyseessä on puolueen tekemä viisas päätös yhä tuloksekkaampaa vallankumoustaistelua varten. Toveri An Ch'ang-mu'lla on pitkä ja ansiokas kokemus puolueemme pitäjänosaston salajäsenenä ja viime vuoden lokakuusta lähtien avoimessa taistelussamme, ja muistatte kuinka hän ei antanut periksi haavoituttuaan taistelussa jalkaan vaan selviytyi yksin takaisin leiriimme. Toveri An toimi silloin ryhmänjohtajana, ja vaikeimmassa tilanteessakaan hän itseään säästämättä piti ensiksi huolen tovereiden turvallisuudesta ja jäi yksin viivyttämään vihollista. Jalkaan haavoituttuaan hän hakeutui itse sairaalaan ja kykeni lopulta pelastautumaan. Kuinka syvästi olimmekaan vaikuttuneita hänen syvästä vastuuntunnostaan, ehdottomasta toverillisuudestaan ja suuresta vallankumoushengestään! Toveri An ei ole osoittanut pelkästään teräksistä taistelutahtoa. Te jotka olette saaneet häneltä opetusta, tiedätte kuinka syvällisesti hän on sisäistänyt puolueen aatteen. Toveri An on virheetön sekä taistelussa että aatteessa! Voin jättää puolueosaston johdon toveri Anille lujilla mielin. Toveri Ha Tae-ch'istä voin sanoa epäröimättä että hän on kokeneena taistelijana, puolueen jäsenenä ja joukkojen johtajana esimerkillinen ja soturina ylivertainen. Mieleni pysyy lujana myös siksi että Beolgyon päälliköksi tulee toveri Ha. Hyvät toverit! Pysykää vastaisuudessakin yhtenä ja korottakaa vallankumouksen lippu korkealle ja omistautukaa vallankumoustaistelulle kaikin voimin! Älkää unohtako, että vaikka lähden puolueosastostamme, olen vallankumoussoturina ja vallankumoustoverina taisteleva kanssanne aina ja kaikkialla. Toverit, puolueosastomme taistelut ovat olleet kunniakkaita. Olemme suorittaneet yli kolmekymmentä avointa operaatiota, ja olemme onnistuneet myös kasvattamaan maanalaista organisaatiotamme. Osoitus saavutuksistamme on myös se, että pitäjämme puolueosaston jäsenmäärä on muita suurempi. Tiedän että se on kaikkien tovereiden yhteisen taistelun tulosta. Hyvät Boseongin vallankumoustoverit! 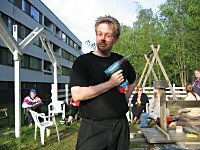 Esittäkäämme puolueosastomme vallankumouksen iskulauseet entistä kiivaamman yhteisen taistelun ja puolueemme aatteen varjelemisen puolesta! Yhtykää iskulauseisiin kaikin voimin minun perästäni. Kaikki yhdessä vallankumouksen lipun alle!" – Kaikki yhdessä vallankumouksen lipun alle! Yli sata nyrkkiin puristettua kättä kohosi ilmaan iskulauseiden tahdissa. Huuto kiiri kaikkialle vuorten rinteille. – Taistelkaamme vallankumouksen uusi maa! The news that a Korean politician is arrested for suspicions of corruption is not a new thing - as has lately happened for the vice mayor of Seoul Yang Yun-jae for allegedly having taken some kickbacks for real estate developers in the Cheonggyecheon project - but this is the first time I hear that Euros were found in great amount at the possession of the suspect (Hanguk Ilbo via Media Daum). The prosecutors found in Mr Yang's office two bank books with more than 100 million won deposited, and Japanese yen worth of 10 million W and Euros worth of millions of won. Mr Yang is also being investigated for receiving 280 mil W from a certain real estate developer. Euros in Korean bribe markets? Why not, it's a widely used currency and has gained in value compared to the US dollar. 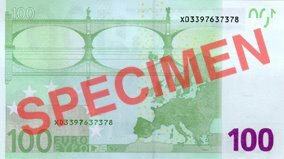 There are also notes of high denomination available like the 100 euros in the picture, so storing the cash should be relatively easy. Hankyoreh tells of a newly published book Chongjokkwa minjok ("Ethnicity and nation", 種族 and 民族) (ed. Kim Kwang-ok) by eleven Korean anthropologists. 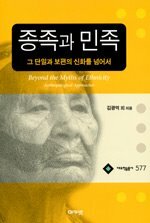 The collection of articles is an endeavour to introduce the concept of "ethnicity" and "ethnic group" to Korea and suggest the use of the concept to approach the divisions within Korea itself. Yi Tae-gûn (Lee Dae-geun or something), the editorial writer of Kyunghyang Sinmun writes about the Korean intolerant "tsunami of nationalistic emotions" sweeping over Korea and taking with everything from the right to the left. Especially the latter, from which he and many others expect better. 훈장도 황금을 돌같이 하지 않는 것. 이번 주에 방송국에서 한국영화를 영어로 옮긴 대본에서 번역하는 사람한테 연락이 왔다. "영어 대본에서 한 30초의 부분이 빠진 것 같아서 그것 좀 봐 줄 수 있을까" 하는 부탁이었다. 여태까지 방송국에서 오는 그런 연락에 잘 응한 내가 이번에 돈부터 물었다. "국립방송국에서 이럴 경우에 심부름꾼의 품삯을 주는 줄 아는데, 좀 다른 기준의 급료가 가능하는지 알아 봐 달라"고 대답했다. 다음 날에 또 연락이 왔는데, 방송국은 시간당 십사 유로 육십센치밖에 못 준단다. "죄송하지만 예전과 달리 그런 돈으로 도와주지 않기로 했다." 좀 황당한 그는 "이런 걸 공공을 위한 서비스로 생각할 수 있지 않나"라고 그러더니 내가 "공공을 위한 서비스를 제공하는 의무가 방송국한테 있지 나한테 있는 게 아니라"고 했다. 참, 돈 얘기가 나오는 바람의 오마이뉴스에서 이 내가 번역한 이 기사의 번역비가 아직도 안 들어왔군요. 그 쪽에서 잊었는지, 아니면 돈이 궁한지 궁금하네. Starting first to think about the homepage rather than the contents should not be the way to plan a university course, but that's what I've ended doing, with the pretext of seeing how the services of Blogsome work compared to Blogger, and whether it'd be a useful idea to have the course homepage in the form of a blog. Before using one's time to build a homepage for a course, one should of course have a plan of what to do with the online stuff, and whether that would add anything useful for both the content of the classes and the form of teaching. The page for my last year's class contained pretty much the same information that I gave to the students as handouts, plus some of my lecturing notes and links to Korean studies pages. The truth is that I could have done perfectly without it, and I doubt it was worth all the time I invested for it, except for the HTML practice. Yes, the page for the course next autumn is still very much on the level of further html and Wordpress practice. The class in the next autumn term will be about "main issues in Korean modern history", not so much my specialty but a class that I anyway have the confidence to teach and for which the attendance will be bearable as well. But the online dimension of the class - we'll see, if I can come up with good enough ideas (which would guarantee that the attending students would use the ) of my own and find others to borrow from. Kerim Friedman of Keywords has an entry in which he links to his article about "folksonomy" in the latest Anthropology News. It looks exactly like something which will be useful should I want to use online resources for the course.